OCBC – Rotary Club of Kuching – Corporate Run is now open for registration. http://ocbc.gritevent.com . Virtual Run available. 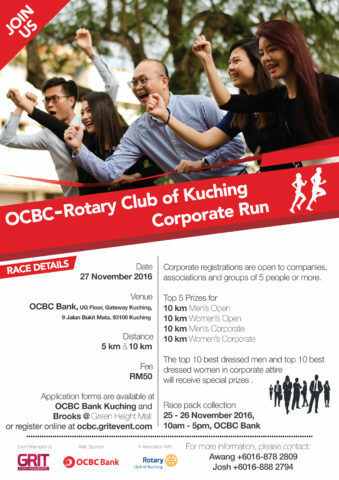 This entry was posted in Past Events and tagged 2016, kuching, OCBC run. When is the registration date? Save the Environment. Paperless. Go Digital, Register Online. Credit Card and FPX (Bank to Bank transfer) accepted.